The square corner along the northern rim of Lavoisier crater is evidence of pre-impact fracturing. 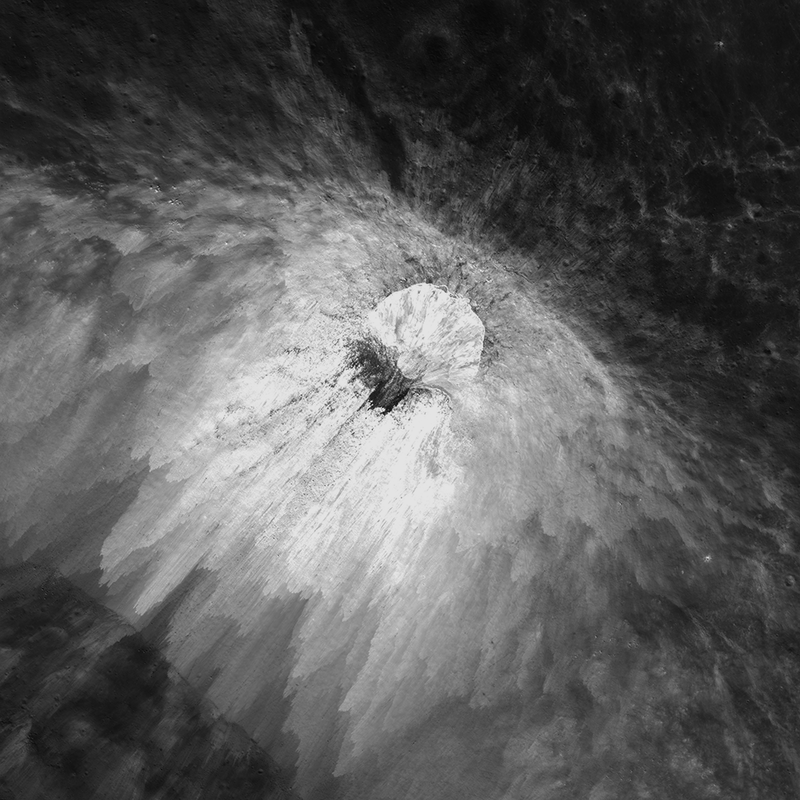 LROC NAC image M112759713L; image width is ~7 km (~4.4 miles) [NASA/GSFC/Arizona State University]. 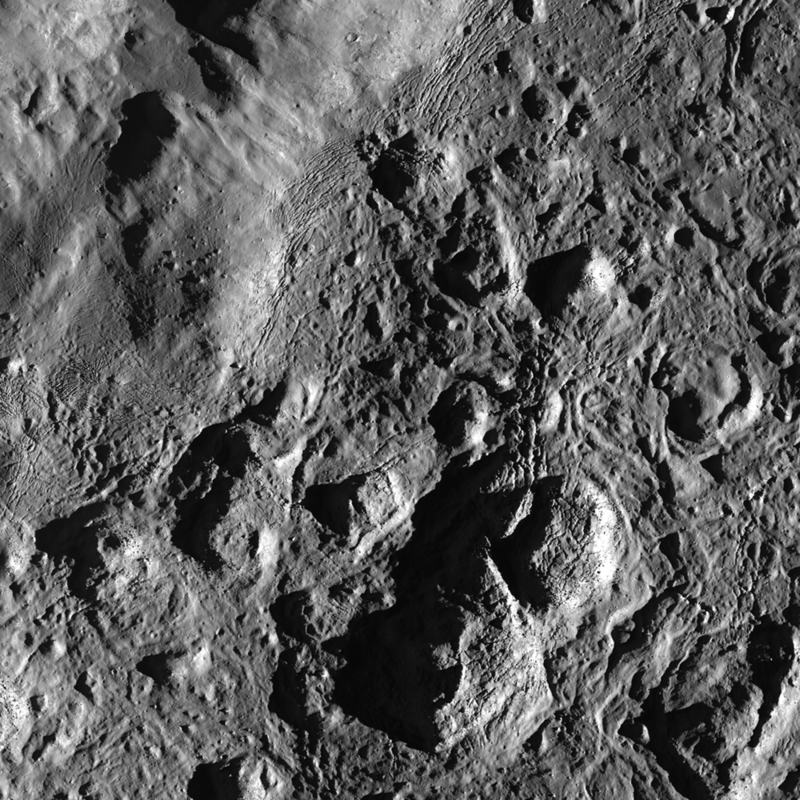 LROC NAC mosaic of the the fascinating floor of Lavoisier crater. 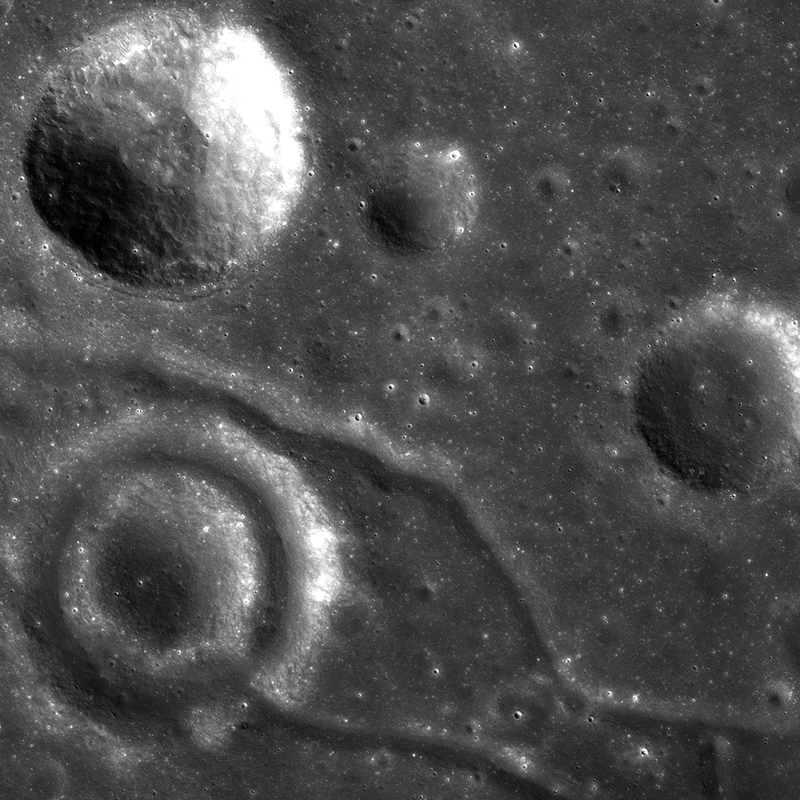 A concentric crater is seen in the lower left corner of the image, and fractures trending NW-SE. M1114711232, image width is ~10 km [NASA/GSFC/Arizona State University]. Now frozen impact melt on the floor of Jackson crater, a silent testament to a violent impact event. The image is ~7 km wide, and North points upward [NASA/GSFC/Arizona State University]. 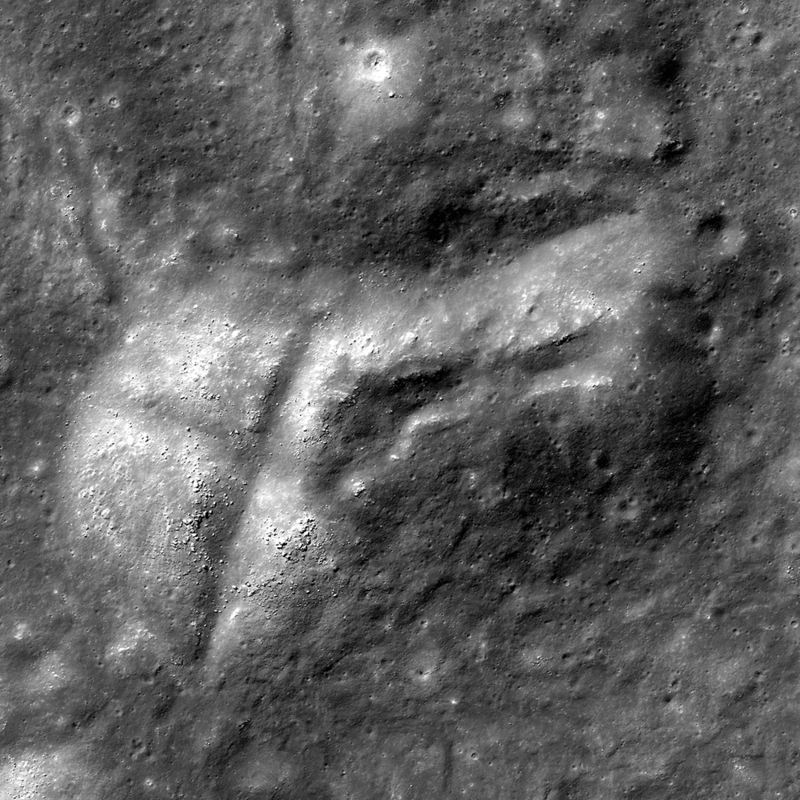 Fractured mound (~3 km) on the floor of Stevinus crater. LROC NAC image M1131495601R, north is up [NASA/GSFC/Arizona State University]. 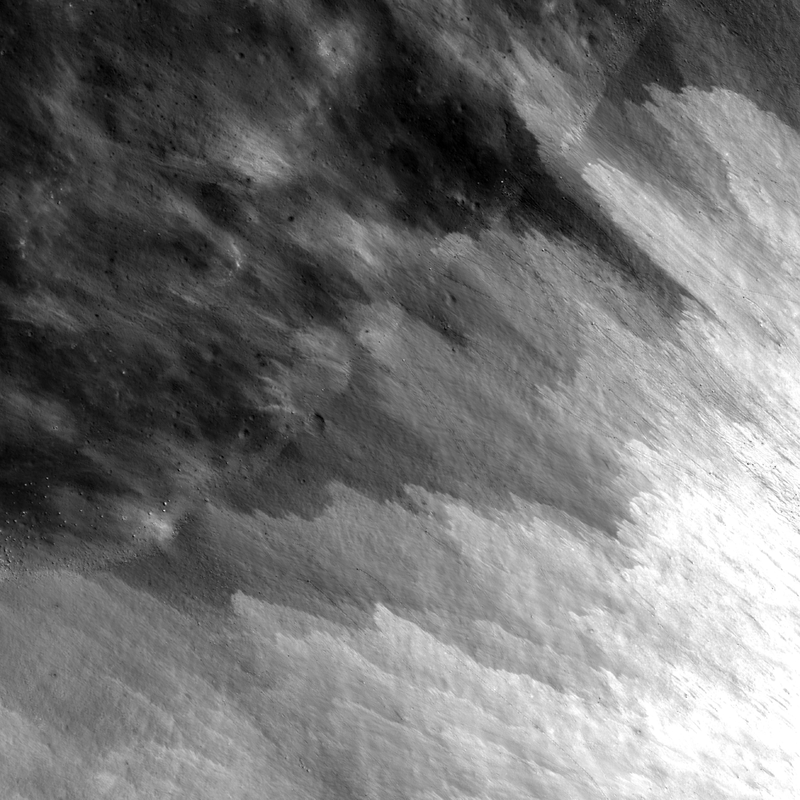 LROC NAC mosaic (M1119341350LR) of ejecta from a fresh crater that impacted on the southeastern wall of crater Darwin C: image is ~3 km wide, north is up [NASA/GSFC/Arizona State University]. 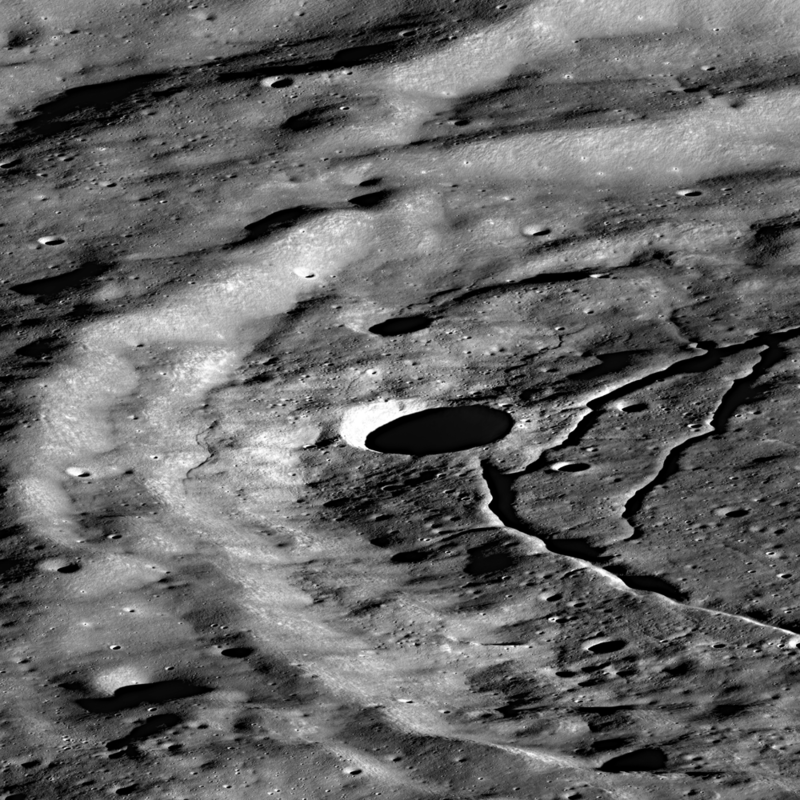 An LROC NAC oblique image (M1098059280LR) of the central peak of Tsiolkovskiy Crater. 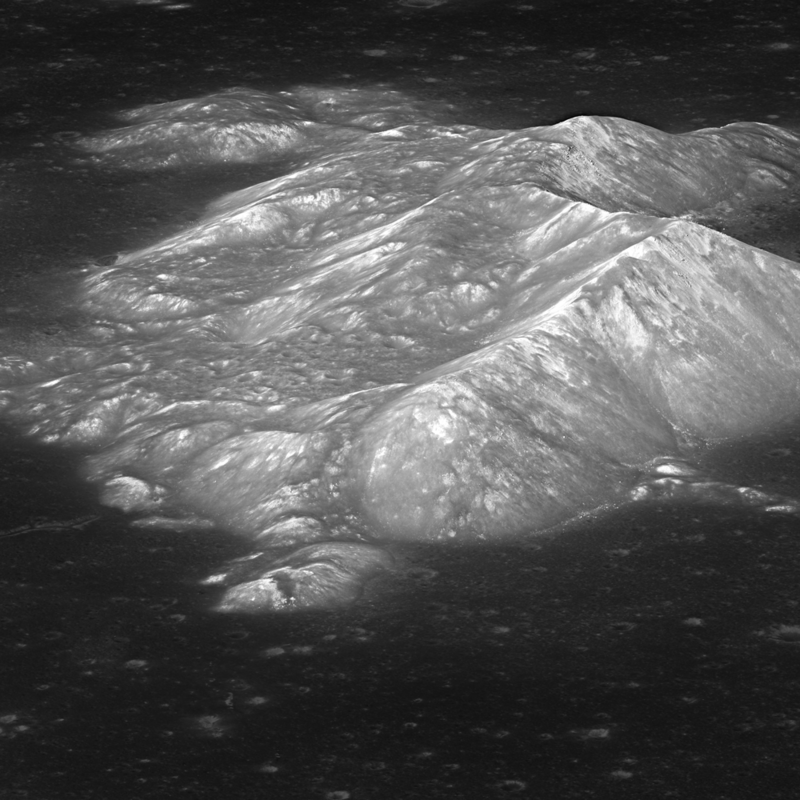 The image is approximately 25 km in diameter, and the central peak rises ~3400 m above the crater floor. North points left [NASA/GSFC/Arizona State University]. 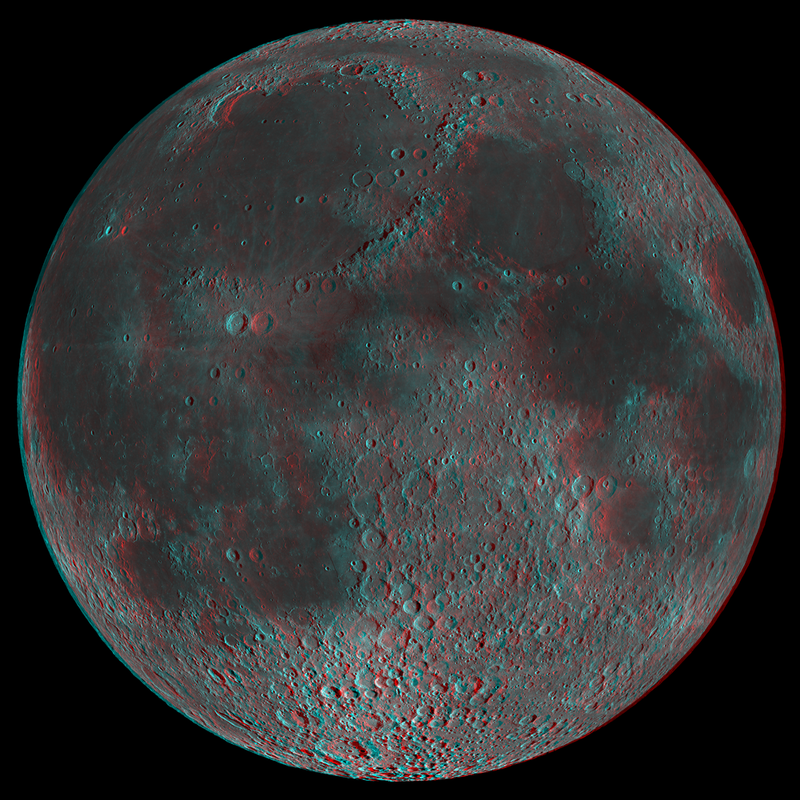 Today's featured image is a 3D anaglyph of the low-Sun LROC WAC 643 nm mosaic of the lunar nearside [NASA/GSFC/Arizona State University]. 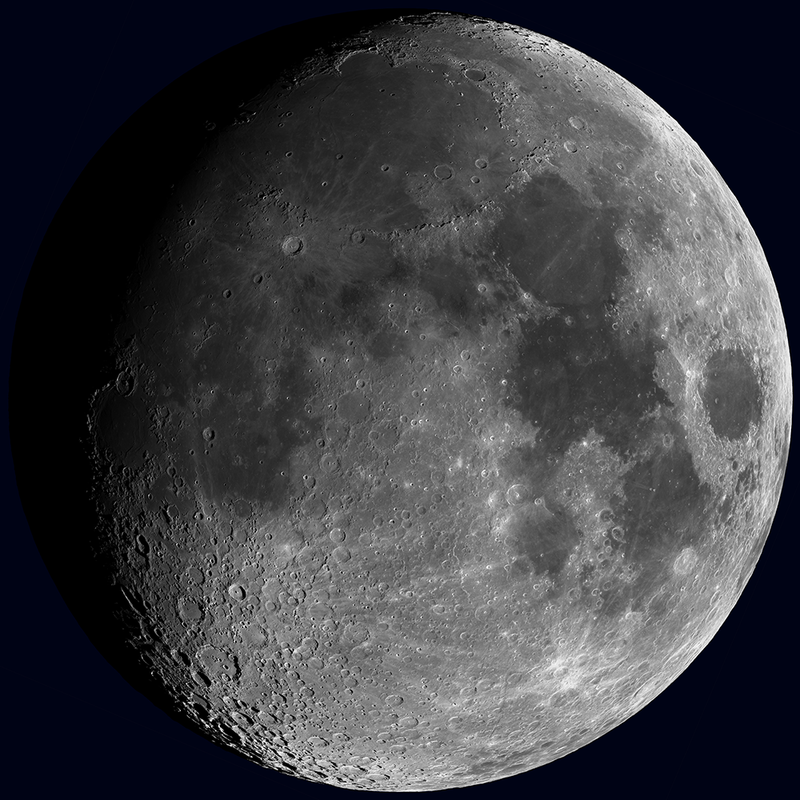 Synthetic view of the waxing Moon as viewed from Earth on 2013-10-15 17:00:00 UTC [NASA/GSFC/Arizona State University]. NAC oblique of the northern floor of Karpinskiy crater, which is centered at 72.609°N and 166.801°E. 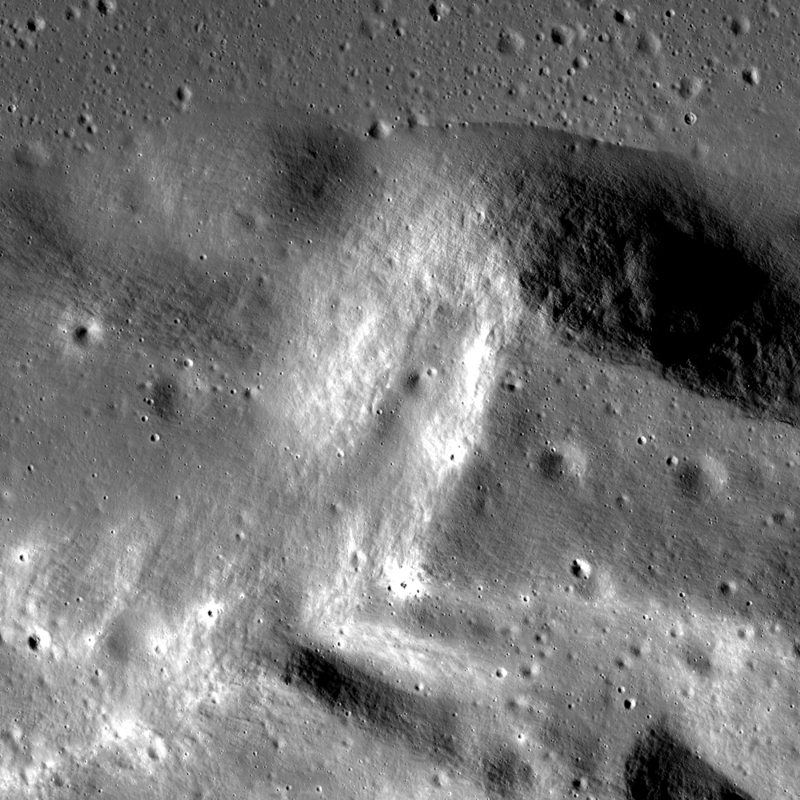 Crater floor fractures are seen, concentric to the crater wall, as well as a 6-km diameter impact crater on the floor (center of image) [NASA/GSFC/Arizona State University].